Daniela Cascella is an Italian writer based in London. 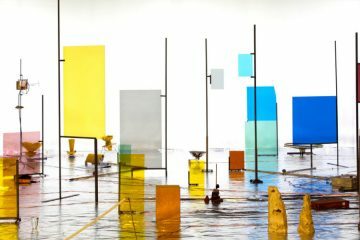 Her work, which has ranged between critical and curatorial activities over the years, seems to gravitate around certain ongoing interests. 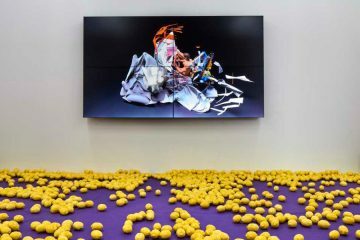 Besides an attention to sound and musical experimentation, which characterizes her practice from the beginning, several of her curated projects focused on the relationships between sound, site, landscape, texts and literature. In the latest years, she approached these subjects more and more often through writing (although it may be better to speak of an investigation of writing). This led her to give workshops and seminars on Writing Sound but, above all, to write En Abîme: Listening, Reading, Writing. An archival fiction (published by Zero Books last September – http://www.zero-books.net/)[i] and, more recently, to found, with Paolo Inverni, Noch – a publisher for expanded listening whose first e-book entitled What Matters Now? (What Can’t You Hear?) will be published in the next months. In doing so, Daniela Cascella brings back to life and re-actualizes pages by writers such as Gramsci, Pasolini, Calvino, Gadda, Pavese, Manganelli, Rilke or Melville and the voices of artists such as Diamanda Galas, Mika Vainio, CCCP, Steve Roden, Chiara Guidi and Mike Cooper thus creating a fluctuating mosaic or, better, a multilayered palimpsest around the relationships between sound, writing, place, landscape and memory in very personal, fresh and experiential ways. Reading and listening are understood as vehicles to consolidate a “sense of place”, its histories and memories. Writing itself can become landscape and tend to the auditory sphere. Reciprocally, the book suggests a notion of place as a mobile dimension, constantly redefined through reading and listening experiences… However, around these central concerns, there are several other possible paths. In the following dialogue – which took place in London last November – I and Daniela explored some of these paths, the interests at the centre of the book and of her current research projects: the notion of text as a fictional archive, the rhythmic and musical structure of the book, the immanence of the audio dimension in silent media, her interest in fragments. But also the issue of language, the use of English as a dispositif for writing, and the other “embodiments” which her work has taken: her blog and her readings. 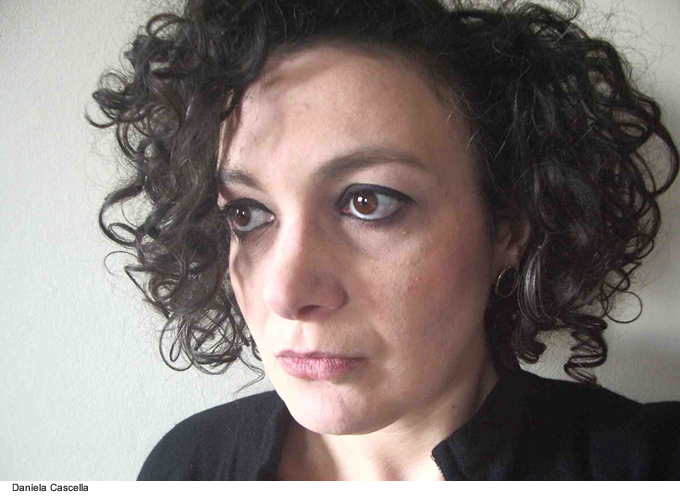 Elena Biserna: I would like to start this discussion around En Abîme by asking about the “personal urgency” that seems to underlie your writing. Where does En Abîme stem from? 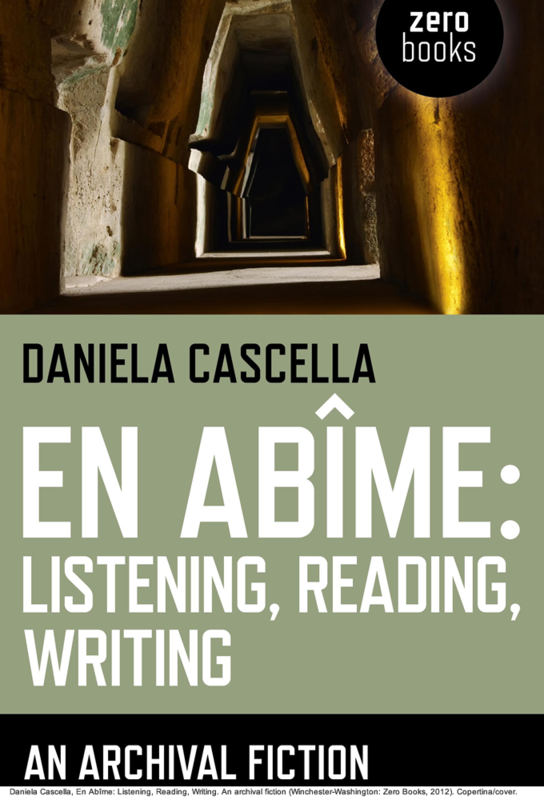 Daniela Cascella: Among many motives, I think En Abîme was born as a response to the overload of academic texts published in recent years, that have accompanied me in my research. I knew I wanted to write this book, and over many years I had collected a number of thoughts and materials, but the large knot that I couldn’t untangle was “how” to write. I didn’t recognize myself in any kind of academic writing and I didn’t think I had much to add in that direction anyway. The only way to draw on the ideas and materials that I had accumulated was to completely reverse the approach and offer a range of experiences from a point of view in the singular, without an all-encompassing theory or vision to dictate the words. At the same time, I wanted to leave a series of openings, to let a vulnerability seep through the book. En Abîme isn’t an autobiography, but rather a narrative device allowing me to create an open space that other people can approach. Elena Biserna: In the opening pages, you define the book as “a slow accumulation of personal moments of breakthrough in listening, reading, writing”[ii]. Both this accumulative process and this sense of opening left to the reader make me think – although with completely different modes and outcomes – of the approach to writing that you adopted in Scultori di suono[iii]. Daniela Cascella: Scultori di suono is a very different book because, for the most part, it is composed of articles already published in Blow Up, the Italian music magazine that I contributed to for many years, and therefore it is based on a work of editing and integration. In En Abîme fiction is much more at play: the book exists in an in-between space among what really happened, what I thought might have happened, and what I only imagined. At the core of the book is a strong interest in fragments, an aspect that I’m currently exploring even further for my next book. I feel comfortable working this way: sewing fragments together, summing them up, but leaving silences, blanks… If I had designed En Abîme, there would have been many more white spaces to emphasize this dimension. 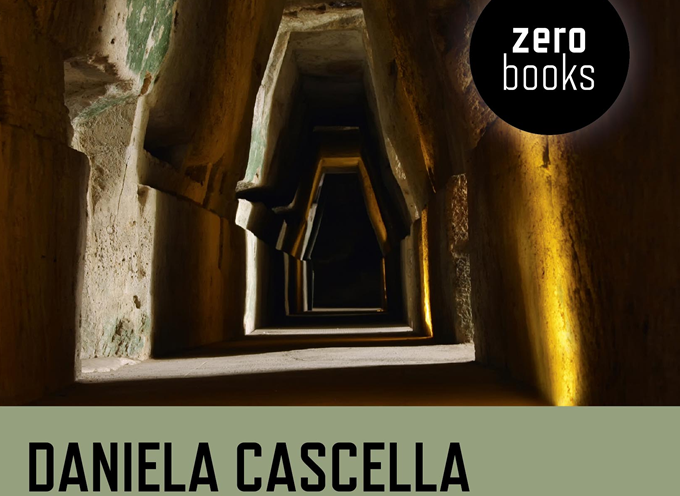 Daniela Cascella: It is precisely the activity of writing that I find more and more interesting in this context. En Abîme is also based on a desire to return to certain places, to access them from different angles and through different media: to consider painting, film, literature side-to-side with “sound”… It is a way of standing apart from a whole series of discourses that treat sound as a kind of separate entity. I wanted to distance myself from “sound” as such, to come back to it after going through many other languages and media, and let them freely interpenetrate. Elena Biserna: …And perhaps these elements derive from your personal, sometimes imagined, experiential archive. Daniela Cascella: Yes, otherwise the book would come back to the closure that I wanted so much to avoid. Instead, this ambiguity is functional to my way of working, of disassembling and reassembling things. Elena Biserna: Also the “rhythm” of the book seems to be connected to this “assembling-disassembling” method that you mention. En Abîme has an almost musical structure, where slightly modified phrases, places, authors and images come back periodically, punctuating the text and creating a play of echoes and internal references. Elena Biserna: It is very interesting how a book that addresses the issue of “writing sound” can assume, in turn, a rhythmic structure. Daniela Cascella: Yes. I didn’t intend to write in a stream of consciousness style; on the contrary, I wanted to work in a controlled and structured way. Initially I experienced a loss of control because the elements that I could connect were so many, and expanded further as I read and researched. Only later did they all merge into the final structure. Elena Biserna: The thing that perhaps struck me most is the relationship with space, in particular the city of Rome, which is a sort of “protagonist” in the book. Rome is “painted” through an oscillation and over-impression of real and imagined stories, literary references blended to your personal experience, transgressing any time limits. You follow in the footsteps of writers who have temporarily lived in Rome and, crossing the city, bring them back to life for us. Or, you walk along the places through the words of other writers… Your experience of space and your experience of written words overlap. Daniela Cascella: Yes, this is true. Part of the structure we talked about is made by reversals: there are parts of the book where I literally took one text, I reversed its structure, and I wrote another section along the same lines… So I’m really interested in this “subterranean” and layered dimension. I also thought a lot about questions such as: What does it mean to be authentic? Where do we keep all these layers of reading and listening in our lives? How are these layers transformed? Where are the gaps? So many questions emerged about what defines you, what differentiates you, how to move in all this. Today we are constantly immersed in textual, visual or aural stimuli, and we are a function of our archives in one way or another… So it was also a way of thinking about life in a city while airing all these layers. Basically, I wanted to write around a number of other writings. In confronting a sea of references, the fundamental decision was to choose how to frame them (coming back to the title, En Abîme). What should I select from my archive, to speak to the reader? Kenneth Goldsmith argues that there’s no longer a need to write and that, instead, we just need to edit. I’m interested in considering this with regards to writing sound. Furthermore, En Abîme also took shape out of the desire to bring to light a series of less visible texts. My work thus becomes a means of transmission for other voices. Elena Biserna: … A sort of polychoral practice. Regarding this, in the book you quote Giorgio Manganelli and his idea of literature as “a rearrangement of pre-existing elements fashioned into a new shape by recalling and arranging them in the present tense”[iv]. Daniela Cascella: There’s a whole series of voices in my book, including Manganelli’s, that I really wanted to bring to the surface. En Abîme is a book written by an Italian living in London, aware of the fact that in this city the cultural references to our country are limited. For this reason, I consciously tried to use lesser known references: for instance, Pasolini appears as poet, rather than as a film director. You were talking about context: this is a situated book, written by a person who lives in a specific time, in a specific place, coming from another country. 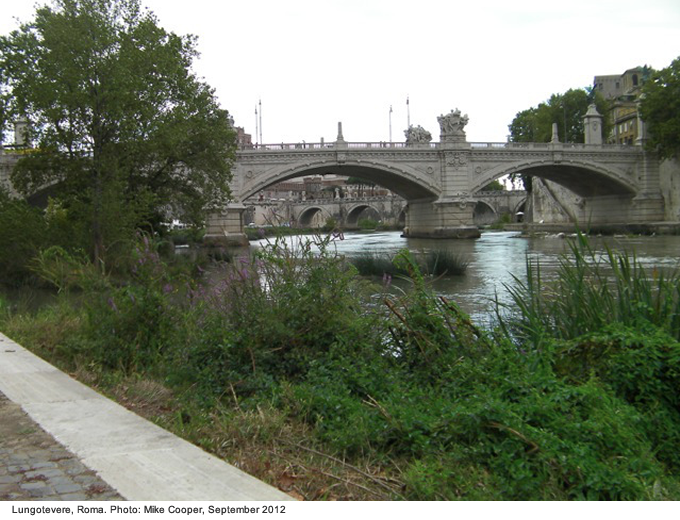 Elena Biserna: Another interesting topic is walking. From the flâneur to the Surrealists and the Situationists, the relationship between walking and literature has a long tradition. In your book you talk of “deambulation” as a metaphor for your approach to writing sound. 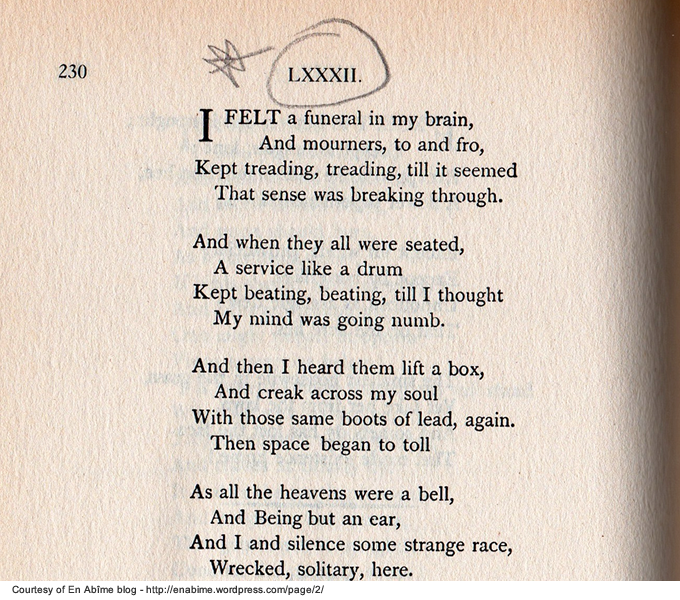 I wonder if, in your opinion, deambulation might be assimilated to the listening process, and if so, in which ways? 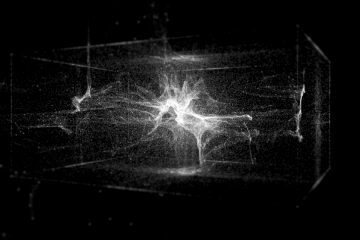 Daniela Cascella: When I speak of “deambulation” I refer to a text by Bruno Latour on the relationship between the abstraction in the map and the experience of the territory. Latour states that being in the forest and looking at the map of the forest can’t become the experience of the forest as much as being in-between these two states: to look at a map, whilst getting lost and running in the wrong direction. In the book, I use this text as a tool to try to think about listening, and about the fact that it’s not necessary to have guidelines or requirements on how to listen to a concert, a sound, a place… Of course everyone has their own maps, but inevitably they navigate themselves within the work. Daniela Cascella: The book is very much linked to the attempt to work looking forward, rather than backward in a nostalgic way. It’s a matter of letting all these materials live again today and beyond. It’s an experiential book, born in relationship with a whole series of stimuli collected in a specific moment… If I had to write it again today, I would use different materials. Elena Biserna: So it’s a matter of re-activating your auditory experiences and re-living them in the present through writing… I’d like to delve, in a little more in detail, into the three practices that are at the heart of the book: reading, listening, writing. Let’s start with reading: In the book you interpret reading in terms of “vocalization”, the individual re-articulation of written words, describing the “texture” and the implicit sound of the printed page that emerges through the process of individual reading. Daniela Cascella: From this point of view, a point of departure was the reflection opened by David Toop‘s book Sinister Resonance on how the aural dimension can pertain also to silent media[v]. However, rather than collecting a series of works or writers showing this implicit sonority in writing, I wanted such a dimension not only to be described, but embodied by the writing itself. At the same time, I wanted to keep a critical approach and therefore locate myself halfway between a critical and a poetic intention: to shape my writing not as a theory, nor as an object to be illustrated, but as something immanent. Elena Biserna: Regarding the relationship between sound and writing, you describe the “defects” of words in relation to the listening experience, the impossibility of their meeting, using an image derived from math, that of the “asymptote”[vi]. Daniela Cascella: Yes, a fundamental question is: How does writing exist in relation to the experience of listening? What can it add and what can it take away? Listening and writing are two different dimensions that, in fact, might tend to each other without ever completely meeting up. My attempt is to think about how writing can add something to the auditory experience, rather than describe it, and in turn be an active agent of listening. To think about how writing sound could exist on its own grounds, with its own authority, rather than existing as a “surrogate” and as a “document”. Daniela Cascella: Yes, I always find it challenging to articulate this point in a comprehensive way, but I believe that it’s useful to continue to struggle with it. I think, in part, this approach is also linked to personal history: living in a small town when I was young, my first encounters with music and art happened by words: by reading texts or reviews. So there is probably also a personal bias towards that dimension… I don’t think I could derive a theory from it! But at least it worked for this project. Elena Biserna: In the book, you describe very clearly this close relationship with sound and music that you are seeking by using the expression “writing over”. 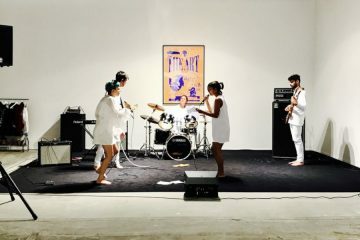 Daniela Cascella: Yes, the risk is, on one hand, to consider music as something elusive and unattainable, while, on the other hand, recognizing that sometimes words become so familiar that they become transparent. Instead, I am interested in reactivating this function of writing in relation to sound: the “chase”. The issue of the adjective is interesting: I think we shouldn’t think of writing about sound as adjectival, but as a verb, and then in terms of “writing sound”. Elena Biserna: I would like to come back to the issue of language. I read your book as an Italian, and I was impressed by your (very successful) translation into English, the experiences and memories that are so linked to an Italian “atmosphere” and cultural background. Translation is a problem I have to confront every day, so I wonder: how much does the language you use affect writing your experiences, especially if they relate to listening? Daniela Cascella: I had the intention to force both languages and to create a no-man’s land. I wanted to give myself up to the act of writing, rather than be paralyzed by established criteria and language standards. To explore the impossibility of being pure and perfect. I wanted to live this experience in its first voice; to use a soiled and slippery kind of writing. I could never have written this book in Italian! All this also stems from a series of reflections on the “self” in relation to language – a “self” which inhabits a foreign language – and on the degrees of distance that it’s possible to reach when you situate yourself in another sound, in another language. It also derives from reflections on ethnography, and on “self-ethnography” and, therefore, on writing about another culture. There is this book by James Clifford entitled The Predicament of Culture[viii]. 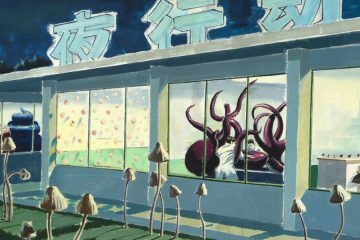 He considers ethnographic surrealism and literature to address the issue of the absence of an “authentic self” in writing; he shows how the ethnographic gaze often understands different cultures as if they were unique and unchangeable, whereas in fact there is always a contamination at play. The whole book is about these slippages between categories and the impossibility in interpreting cultural artifacts as something isolated and pure. This essay helped me to rethink my “foreign” cultural position and my impure form and references as a possibility. Daniela Cascella: Last summer I found myself, for the first time in years, writing a text in Italian, and I had to confront a tension I felt, to be controlled. I think English is the right space for what I want to do. Elena Biserna: So we shouldn’t expect an Italian translation! Daniela Cascella: No… Or maybe yes. I’d like the book to be translated, but not by me. I couldn’t do it, but I would be happy if someone wanted to translate it, perhaps even completely rewriting it and using it as a score of sorts. I am very interested in translation as drift. Walter Benjamin’s essay The Task of the Translator addresses the impossibility and, at the same time, the inevitability of translation… It speaks of the “after-life of a text”, which is another life[ix]. 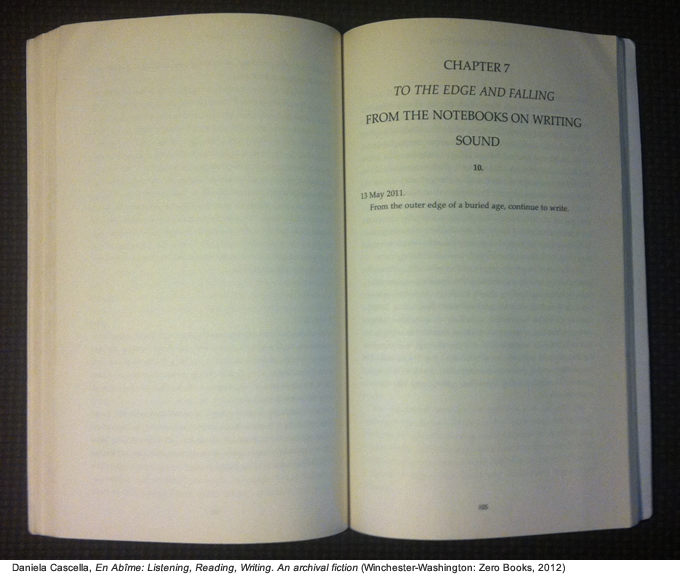 Elena Biserna: This idea of the “after-life of a text” brings to mind another activity you have undertaken: readings. What is the difference between reading and “listening” to a book, and in particular, your book? Daniela Cascella: That’s an interesting question. Before starting to promote En abîme I had never thought to do readings. Whenever I read in public, I end up changing the text, or using the book as a script. Although, at first, this happened by chance, it is now a conscious choice. I think the book should be in constant change, eroding itself and becoming something else. Public readings add another layer to the project, which is different every time. I’m carrying on this dimension in my current projects too, even more linked to the idea of reading and fragment… Up until some months ago I had a problem: I’d written a number of fragments and I knew they were all part of the same project, but I didn’t understand how they could exist together on the page. Then I found myself reading them in public and I realized that the reading space brought them all together. I realized that what I thought would be another book actually works well as a score for reading. Daniela Cascella: The blog only features a few excerpts from the book… But, as you say, the blog is part of this stratification. The book is published, but the project is not finished. I don’t think my way of working can merge into a single format. 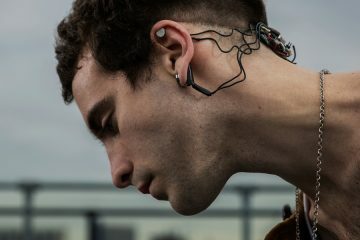 I’m also thinking of trying to bring to life all these materials in a live, performative dimension through music, video and text fragments… But this is still a vague idea. Elena Biserna: The book has a very open structure and all these branches create further openings. This suggests that your research project on writing and listening should be considered in progress and, therefore, can have other lives, perhaps far away from the book form. 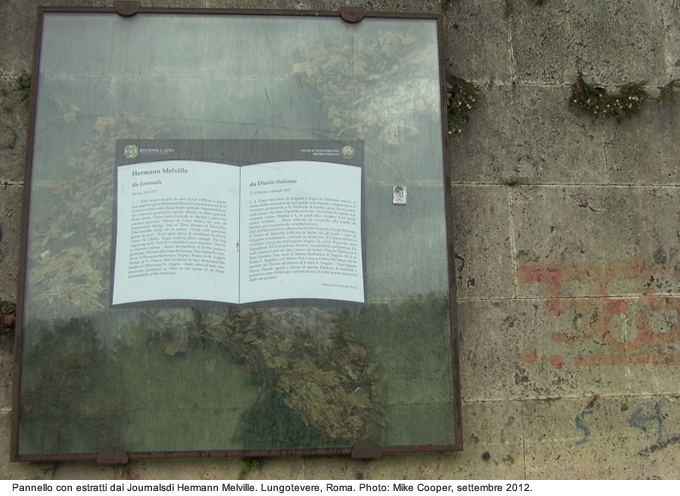 In this context, what is the relationship between writing and curatorial practice? Daniela Cascella: I decided to stop curating projects “in space”, but I think this kind of writing is close to curating a collection, an archive, and to imagining correlations between different elements. In this, the curatorial aspect comes back, but I am much more comfortable in writing, from every point of view: from the practical aspects to time commitment, from the materiality of writing to research. I think this is the way for me to go: working from collections of research materials, rearranging them and making something else. 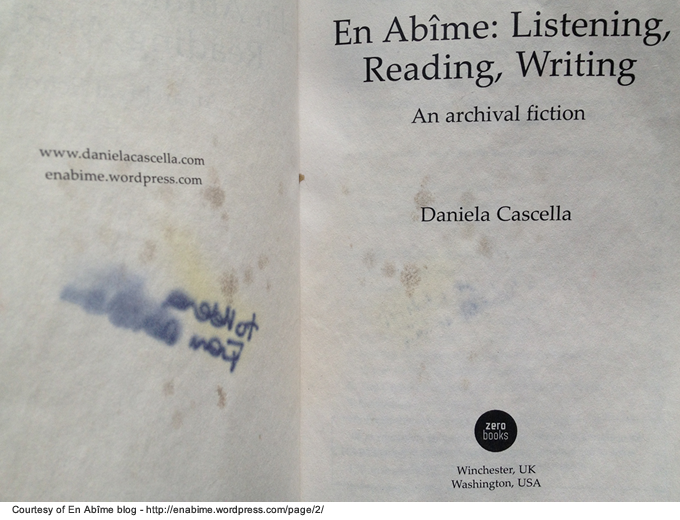 [i] Daniela Cascella, En Abîme: Listening, Reading, Writing. An archival fiction (Winchester-Washington: Zero Books, 2012). [ii] D. Cascella, En Abîme, 32. [iii] Daniela Cascella, Scultori di suono. Percorsi nella sperimentazione musicale contemporanea (Camucia, AR: Tuttle, 2005). [iv] D. Cascella, En Abîme, 68. [v] David Toop, Sinister Resonance. The Mediumship of the Listener (New-York-London: Continuum, 2010). [vi] D. Cascella, En Abîme, 86. [viii] James Clifford, The Predicament of Culture. Twentieth-Century Ethnography, Literature, and Art (Cambridge: Harvard University Press, 1988). [ix] Walter Benjamin, “The Task of the Translator,” in Illuminations (London: Cape, 1970).